What Does the P0336 Code Mean? When the crankshaft position sensor fails to deliver proper information to the ECM, the P0336 code is generated. How to Diagnose the P0336 Code? Here are some of the steps a professional mechanic will take when diagnosing the P0336 trouble code. You can perform these steps by yourself also. Before you start diagnosing the P0336 code, make sure that the car’s battery charger is connected. This is to ensure that the car’s battery does not drain during the diagnosis procedure which might further result in additional trouble codes being generated. can be of two types, a regular code reader or an advanced scan tool. We recommend that you get the advanced scan tool to diagnose the P0336 code as it can help you record the data as well. If you do not have an OBD2 scanner, you can adopt a traditional way of measuring the voltage values using a multimeter. Measuring using a multimeter is a time-consuming task which is why we prefer the OBD2 scanner. 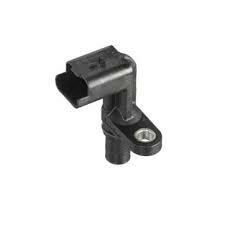 Visually inspect the crankshaft position sensor and notice if any signs of damage exist. After that, check the wiring on the sensor and ensure if the connection isn’t bad or broken. Moreover, the sensor should not be close to the spark plug wire as it causes a problem as well. Using a volt-ohm meter (VOM), test the crankshaft position sensor’s wiring resistance and the resistance of the sensor itself. Compare the reading with the specifications provided by the manufacturer. If the vehicle isn’t starting at all, monitor the tachometer to check if the RPM needle is fluctuating while starting the engine. If the RPM needle stays in its position, there is a possibility that the ECM is not receiving proper signal from the crankshaft sensor. Test the signal leaving the sensor using a scope or a LED test light. The crankshaft seal is usually made of rubber and metal and is located on the front of the engine. The job of the crankshaft seal is to not allow the oil to escape out of the engine’s crankcase. The P0336 code may also generate due to a leak in the crankshaft and it should be fixed right away. Many times the P0336 trouble exists only due to a dirty or contaminated crankshaft position sensor. The dirt and particle build-up prevents the sensor to obtain correct information and thus an incorrect data is transmitted to PCM. The easy fix for this is to clean the crankshaft position sensor with an electric cleaner and gently rubbing it till no liquid residue is seen. Before replacing the crankshaft position sensor, make sure that you have it serviced and cleaned to see if the P0336 trouble code disappears. If not, try replacing the crankshaft position sensor and that will probably fix the trouble code. Disconnect the car battery by removing its negative terminal. This is to ensure that you don’t get an electric shock while performing the procedure. Open the vehicle’s hood and locate the crankshaft position sensor which is usually located in front of the engine timing cover. You might have to remove some additional components to reach the sensor. Once the sensor is found, disconnect the clip which is securing the sensor and gently pull the connector. After pulling the connector, loosen the bolts securing the sensor and remove the sensor from its place. If it doesn’t come out easily, try to pry it out. Don’t apply too much pressure on the sensor or else you might break it. Install the new sensor in its place and screw the bolts. After that, reconnect the electrical connector, then re-connect the battery and you are good to go. If you have any further questions pertaining to the P0336 trouble code or the crankshaft position sensor, just comment down below and we will get back to you ASAP. Mentioning the steps you have taken to troubleshoot the problem will help us better in providing a solution.